Late Breaking Abstracts are now being accepted for the 2019 Annual Meeting. Submit your abstract today and have a chance to present your new research at the SSR Annual Meeting in July. The deadline for submission is April 15, 2019. Submissions should adhere to the guidelines listed HERE . Late breaking abstract submissions will only be considered for poster presentation. Submit your late breaking abstract HERE. Mark your calendars for July 18-22, 2019 for our next Annual Meeting! We promise a truly exciting program for the 52nd SSR Annual Meeting. With Carmen J. Williams and Masahito Ikawa as Program Co-Chairs, our program includes keynote speakers, the Diversity and Heritage Luncheons, and more. Congrats to Our 2019 Awardees! SSR officially announces the 2019 SSR Award Winners! These seven individuals have made outstanding contributions to the scientific discipline of reproductive biology. View the 2019 SSR Award Recipients. SSR Members receive discounts to the Annual Meeting, free access to the Society's journal, Biology of Reproduction, reduced submission fees for papers published in BOR, and more! 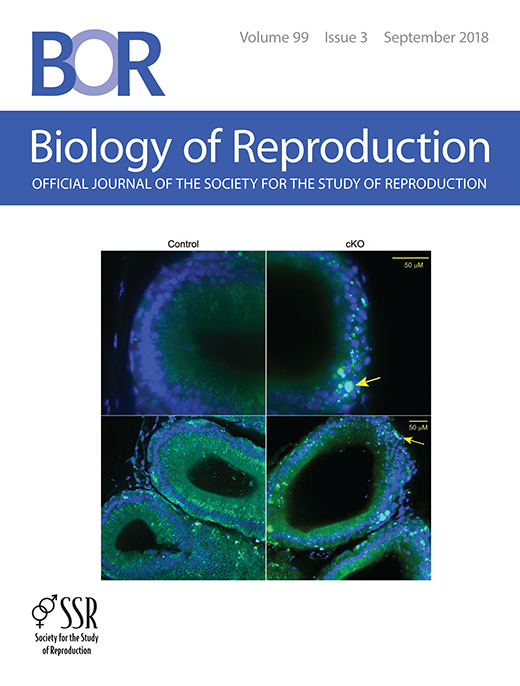 Biology of Reproduction (BOR) is the official journal of the Society for the Study of Reproduction (SSR) and publishes original research on a broad range of topics in the field of reproductive biology, as well as mini-reviews on topics of current importance or controversy. Join the SSR Community where you can engage with your peers on all topics in the field of reproduction. Share resources, ask advice, provide feedback on an article. The opportunities are endless. No additional login required – just use your SSR portal details.